Do you want to lose weight naturally? Then you may need to start drinking some green smoothies now. I solved my weight problems by making healthy fruit and vegetable smoothie recipes for weight loss. I’ve probably tried all the diet fads in the market, but without seeing any real results. I was close to giving up when a friend introduced me to green smoothies. Together with exercise and healthy living, I’ve seen visible results in as early as two weeks. To help those with a weight problems, here are eight smoothie recipes that you can try at home. Dr. Oz shares this favorite green drink to start your morning right. Replace your normal morning beverage with this low-calorie drink and you’re on the right track of your weight loss program. Combined with spinach and apples, you can get a fiber-rich drink to start your day. The orange, pineapple, lime, and lemon are rich in Vitamin C to strengthen your immune system. Cucumber contains high levels of B vitamins to relieve anxiety and protect against the damaging effects of stress. Celery is a great source of vitamin K to prevent excessive bleeding while carrots contain beta-carotene for skin and eye health. In a blender, mix all ingredients. If you find the mixture too thick for your preference, add water. Pour the finished smoothie in a mason jar or any glass of your choice and serve. Enjoy while still cold. 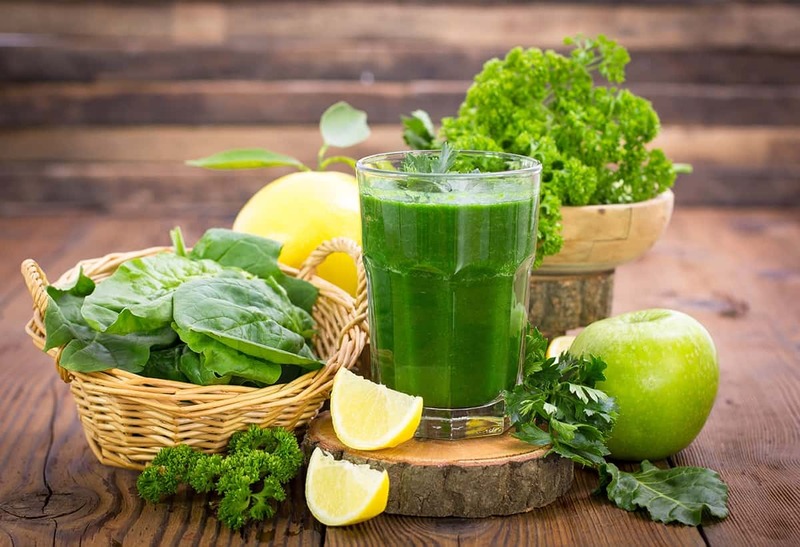 This green smoothie combines kale with banana and apple cider to provide powerful detoxifying benefits. The secret ingredient of this recipe is the apple cider which gives that juicy green apple taste. A dash of cinnamon is also added to bring spice to the whole concoction. The banana in this recipe works as the base fruit which gives that thick texture to your smoothie. The kale is the leafy green that offers a multitude of nutrients like magnesium, folate, and fiber. Apple cider offers weight loss benefits and relief towards symptoms of diabetes. Put all ingredients, except for the cinnamon, in a blender and mix until smooth. If the texture is too thick, add water. If the texture is too thin, add banana. When already smooth, add the cinnamon and pour into a glass to serve. This third smoothie recipe which is adapted from Lean Secrets combines collard greens with berries and wheatgrass to make an effective weight loss drink. Collard greens are ideal for weight loss because they contain very low calories. This dark leafy green can be a great source of vitamins A, C, and B6. Wheat grass is rich in amino acids and protein. Its grassy taste can be masked with the sweetness of berries. Macca powder gives an energy boost while coconut water can provide the antioxidant power. To make this recipe, just mix the ingredients together thoroughly in a blender for about a minute or until it reaches your desired consistency. After that, you can transfer the finished smoothie in a glass and drink in an empty stomach for better nutrient absorption. 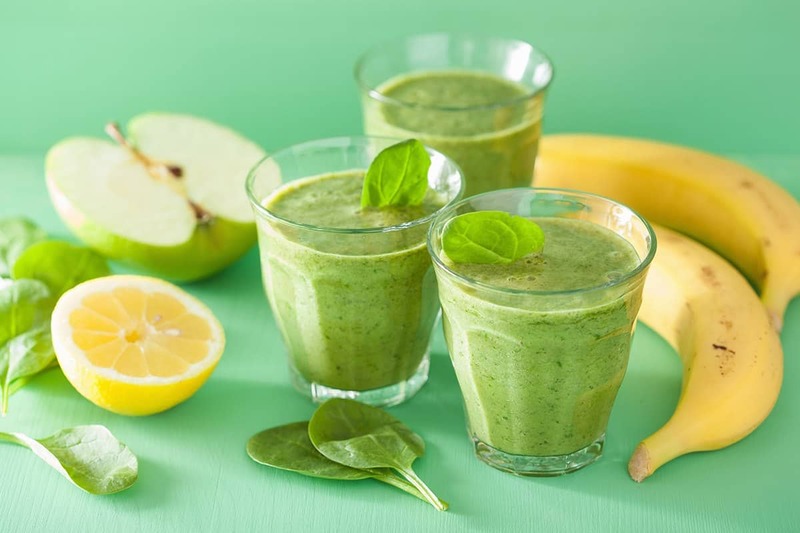 Another refreshing smoothie combination includes spinach, grapefruit, and banana. The grapefruit offers a tart flavor while the banana balances it with its natural sweetness. Aside from their delectable flavors, they’re packed with essential nutrients, like vitamin A, potassium, and vitamin C.
Grapefruits have a negligible number of calories, but they’re rich in vitamins A and C. They also give a little boost to your weight loss diet. In a blender, put all the ingredients and mix until it reaches your desired consistency. Remember to add more ice cubes if too thin, which will give you a shake-like consistency. You can also add more banana if you find the mixture too bland for your taste. This green smoothie combines spinach with a variety of sweet fruits, like bananas, peaches, and mango. If you’re not a fan of spinach, then this smoothie is a great way to consume this leafy green as its taste is masked well with the fruits. But you can’t mask the outstanding nutrients of spinach. Spinach has anti-inflammatory benefits as well as anti-cancer properties. It is also an excellent source of vitamins A, C, and E. Meanwhile, peaches contain bioactive properties that have demonstrated qualities in fighting obesity. Blend all ingredients in a blender until smooth. Pour the finished smoothie in a glass or mason jar. Enjoy while still cold. Clinical nutritionist Kimberly Snyder recommends this wonderful smoothie recipe for energy boost, weight loss, and glowing skin. Romaine lettuce is an excellent source of vitamins A, K, and iron. In fact, you’ll get more vitamin A from a head of romaine lettuce than a large carrot. The apple and pear in this recipe provide a weight loss benefit as they satisfy your hunger for a small number of calories. According to a 2003 study, regular intake of pears and apples may contribute to weight loss. To thicken the consistency of this smoothie, I added one frozen banana. In a blender, add water and romaine lettuce. Blend until roughly mixed, then add the rest of the ingredients. Blend until smooth and serve in a mason jar or tall glass. Drink this preferably in the morning to get the best results. This seventh smoothie recipe is simple to do because all you’ll need are four ingredients; coconut milk, yogurt, banana, and spinach. Together, they form a low-calorie drink which can boost your energy and make your skin glow. Drinking this smoothie every day will curb your cravings for sweet snacks, hence, lose pounds along the way. As you already know, spinach is high in vitamins K, A, and C. Bananas support weight loss by making you feel full for a long time, hence less calories. To skip the use of ice cubes, you can use a frozen banana in the smoothie. If you don’t know how to freeze a banana for smoothies, watch this video. In a blender, put all ingredients and blend well. Add a bit of water if you find the consistency too thick for your preference. Serve in a mason jar or glass of your choice. Spinach and apple make a great smoothie combo. This combo is made extra spicy with the addition of ginger. Instead of water, you can use coconut water to boost more nutrients. Cucumber gives that refreshing taste into the mix with fewer calories to boot. According to Dr. Axe cucumber helps you lose weight by quenching your thirst and curb your desire to eat due to dehydration. Ginger also gives that same appetite suppressant effect. More than the weight loss benefits offered by these ingredients, they also clear your skin from wrinkles and other blemishes. Add all ingredients in a blender until smooth. Serve in a mason jar and drink during breakfast for best results. Have you enjoyed following these healthy fruit and vegetable smoothie recipes for weight loss? This list was important to me because it made help lose weight effectively. Plus, drinking these smoothies improved my overall health. If you’ve tried any of these recipes above or have another smoothie recipe to suggest, post them in the comments section below. Don’t hesitate to share this article if you have found this helpful and informative.